pulls off the shelf the 1987 autumn/winter collection catalogue of Next, a mass-market British retailer. All of the clothes are so classic, he says, that they could be worn today. slavishly follow fashion trends, UNIQLO, the main brand of the third-largest, Fast Retailing, of Japan, sticks to timeless basics. Mr Yanai has a solid base at home from which to expand into his Western competitors' main markets of Europe and America. by becoming the first Asian "SPA" or speciality store retailer of private-label apparel. "Asia is the engine of growth today," he says, pointing to the millions of consumers across the region who are reaching the middle class. (it has already opened networks of shops in Indonesia, Singapore and Thailand). The success or not of UNIQLO's overseas operations matters greatly to investors at home. largely, analysts reckon, owing to its international expansion and improved logistics. At home the firm is closing stores because the population is shrinking. Fast Retailing's operating profit in the year to August 2018 was 236.2bn yen ($2.15bn), the bulk of which is made up by UNIQLO. Last year UNIQLO's international revenue overtook its domestic sales for the first time and its foreign operating profit almost equalled its Japanese equivalent. 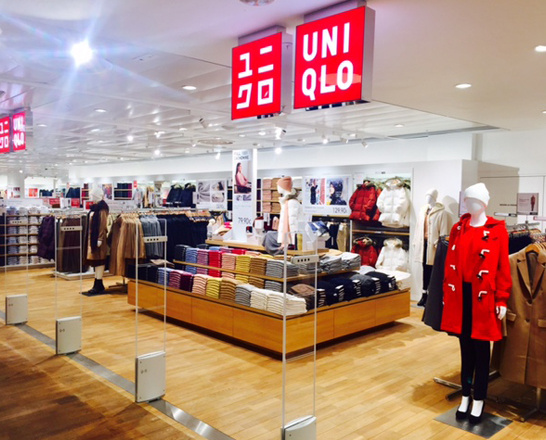 UNIQLO has a strong Asian foothold by way of China, home to over half its overseas shops. China contributed around 70% of total international revenues last year.